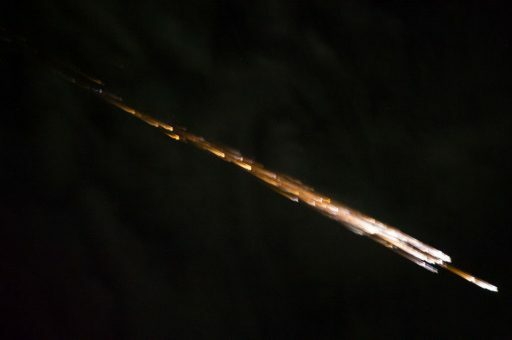 Orbital ATK’s Cygnus OA-6 spacecraft met its fiery end on Wednesday when re-entering over the Pacific Ocean to conclude a 91-day resupply mission to the International Space Station including a week-long free flight after undocking dedicated to the first large-scale combustion experiment conducted in space. Cygnus departed the Space Station on June 14 after an 80-day stay, dropping off 3,395 Kilograms of cargo and picking up 1,855 Kilograms of trash and no-longer needed items. Just a few hours after the spacecraft’s departure, the largest intentional fire to be lit in space was started aboard Cygnus as part of the Saffire-I combustion study that examined a realistic fire in the microgravity environment, looking at flame spread, temperatures, oxygen consumption and other properties to develop models for fire progression within a spacecraft, of relevance for the development of future fire safety systems. 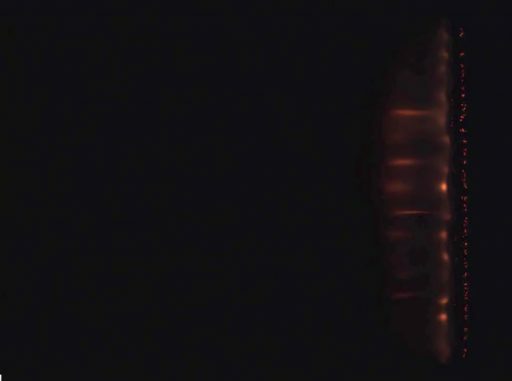 A 0.4 and 1-meter cotton-fiberglass material was set on fire in a carefully controlled air flow and a number of sensors, including high resolution cameras, documented the fire which burned for eight minutes. 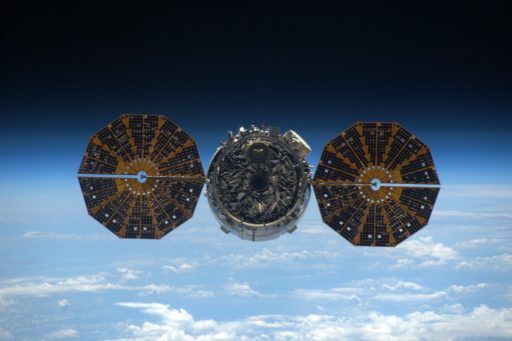 The downlink of data from the experiment took several days due to the large volume of data generated during the short burn, requiring Cygnus to remain in orbit for another week after the experiment was conducted. 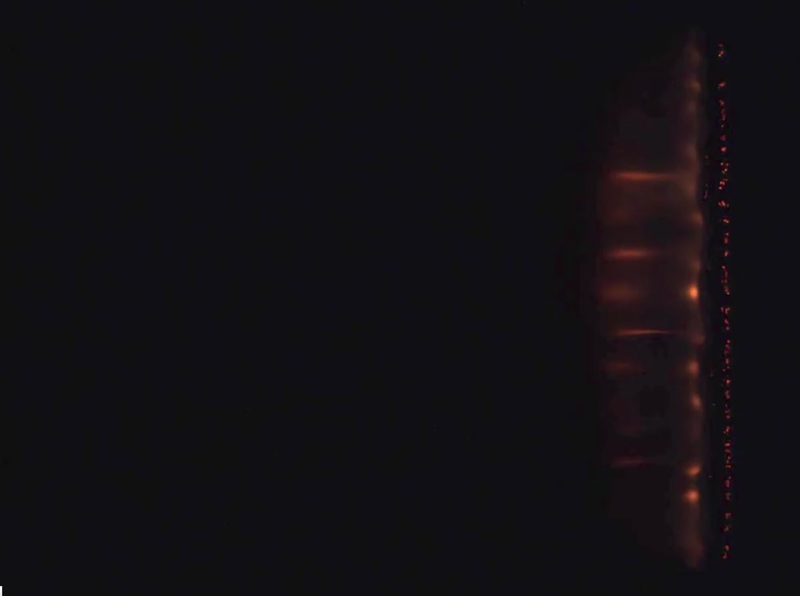 To learn more about the Saffire Experiment and see a video of the fire lit aboard the Cygnus, see this article posted last week. 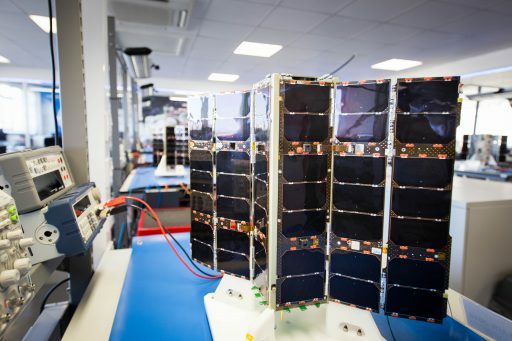 On Monday, Cygnus was to release a group of five Lemur cube satellites operated by Spire Global as part of the company’s multi-purpose satellite constellation. Four of the CubeSats were cataloged by the Joint Space Operations Center by Wednesday afternoon in a 389 by 394-Kilometer orbit, slightly lower than the Space Station. The Lemur-2 satellites are outfitted with a pair of payloads – SENSE, a small receiver for the Automatic Identification System, collecting ship-tracking data on a global scale, and STRATOS, used for GPS occultation measurements that deliver vertical profiles of atmospheric temperature, pressure and humidity for application in operational meteorology. Having completed all its mission objectives, the S.S. Rick Husband began preparing for the end of its flight, bringing a close to Orbital ATK’s fourth visit to the Space Station and a mission that demonstrated a high-degree of versatility, employing Cygnus as a cargo spacecraft, experiment platform and satellite deployer. Experimentation did not stop at the end of the Cygnus mission as the spacecraft’s re-entry was planned to be heavily studied from within the disintegrating spacecraft and from safely below. To set up for a targeted destructive re-entry, Cygnus completed a small adjustment of its orbit, lowering itself into a 387 by 389-Kilometer orbit. Firing up its BT-4 main engine, Cygnus began slowing down to drop itself out of orbit and carefully place the point at which it would intercept the atmosphere, a) to move away from any populated areas or shipping routes and b) to make sure re-entry was visible to an airborne observation campaign. The spacecraft crossed the 80-Kilometer line at around 13:29 UTC, feeling the heat of re-entry. Still weighing in at over five metric tons, Cygnus slammed into the dense layers of the atmosphere where drag built up to a destructive force – first ripping off the spacecraft’s two circular solar arrays before triggering the onset of fragmentation of the spacecraft with the pressurized cargo module breaching, causing an explosive release of air. Just when Cygnus was ready to meet its fiery end, the REBR Instrument – Re-Entry Breakup Recorder – powered up to measure a number of parameters during the destructive end of the mission. 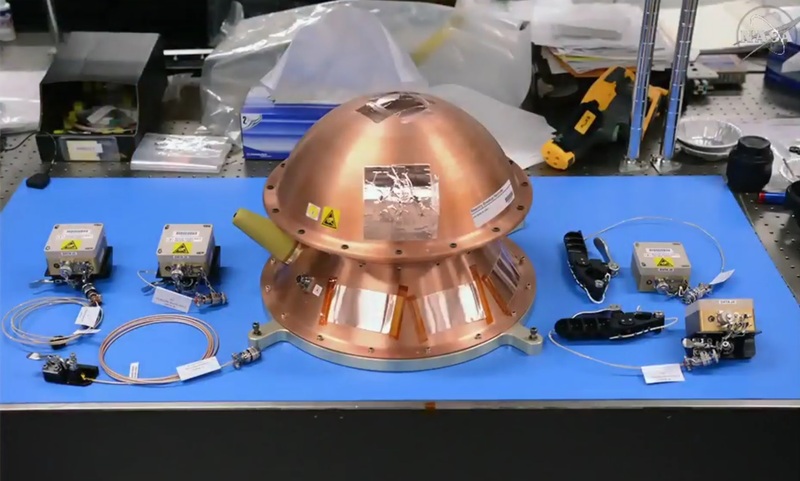 REBR features a number of auxiliary sensors installed in different positions of the spacecraft to measure the thermal, acceleration, rotational and other stresses the vehicle experiences during its destructive re-entry process. This data is used to improve Re-Entry Simulation Models that show inaccuracies for the peak heating environment of re-entry. The parent unit of REBR has a mass of about 4 kilograms and is 31-centimeters in diameter. 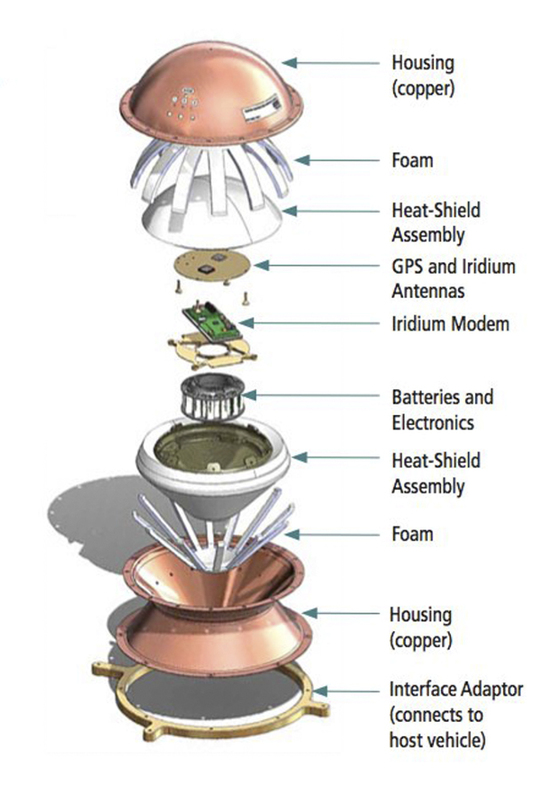 REBR consists of a sensor suite, a GPS receiver, temperature sensors, accelerometers and rate gyros, a pressure sensors, electronics, a commercially-available Iridium modem, a combination GPS/Iridium antenna, and batteries. Data collected during the high-speed re-entry and breakup is stored inside the REBR memory and after ejection of the recorder around 40 Kilometers in altitude, the recorder ‘phones’ home via the Iridium satellite constellation to transmit the acquired data prior to impact in the ocean. REBRs have flown on several previous Cygnus, ATV and HTV Missions. Data acquired by Re-Entry Data Recorders can be used to improve future space vehicle design, satellite reentry predictions and space debris. Circling under Cygnus’ re-entry path was a chartered aircraft outfitted with high-speed cameras and spectral imagers to film the re-entry fragmentation process and collect spectral information that is of value when analyzing the dynamics of the hypersonic entry process. The purposeful re-entry of Cygnus and other members of the ISS cargo fleet provides a welcome opportunity for scientists to study re-entry processes as natural orbital decay of spacecraft can not be predicted with sufficient accuracy for targeted observations. Data collected during re-entry observations will be put to use to develop models for re-entering satellites and objects of natural origin. One particular item of interest is the eventual re-entry of the International Space Station when it reaches the end of its useful life at some point in the mid to late 2020s. Due to its size, fragments of ISS could bounce off the atmosphere due to a too shallow entry and end up in various orbits, creating a debris problem depending on the energy of the objects. Setting up a re-entry trajectory that ensures the safety of life and property on Earth while also keeping Low Earth Orbit free of additional debris is the goal to be achieved when ISS meets its fiery end, but requires study and analysis of re-entry dynamics in spacecraft coming down at different angles. With Cygnus OA-6 coming to a very successful conclusion, preparations are already in full swing for the next mission in line, Cygnus OA-5 – named the S.S. Alan Poindexter to honor the late NASA Astronaut who flew two Space Shuttle missions as Pilot and Commander in 2008 and 2010. The mission will mark the return to flight mission of the Antares launch vehicle following its October 2014 launch failure on the Orb-3 mission. 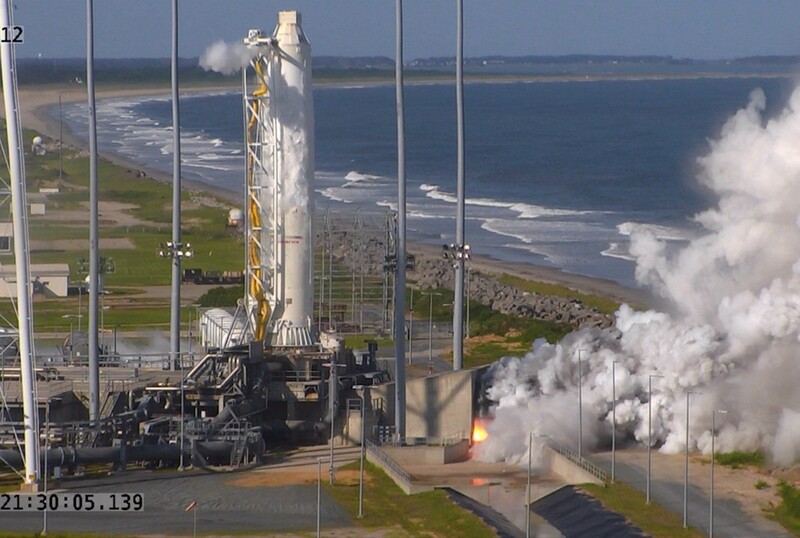 Antares – now fitted with Russian-built RD-181 engines replacing the old NK-33-based AJ26 powerplants – completed a 30-second static fire test on May 31st. This test was to demonstrate the rocket’s compatibility with the new main engine system and uncover any adverse modes by putting the engines through different throttle and mixture settings. As per the test’s goals, a number of areas were identified where modification was needed, responding to an unexpected vibration environment during some of the engine settings. As a result of additional work required on the re-engined Antares 200 series, the Cygnus OA-5 mission will be looking at a launch in the late summer time frame.